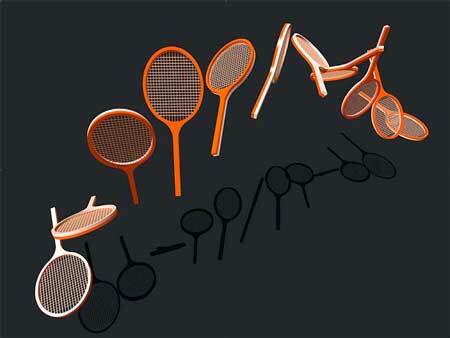 Achieved through defects-mediated diffusion in the particle, the discovery could one day lead to development of micro- and nano-robots capable of self-repair; mechanically stable and damage-tolerant components and devices; and targeted drug delivery. 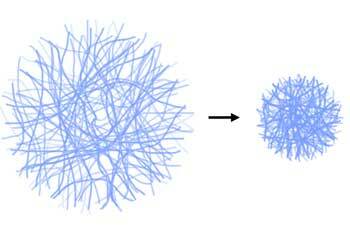 Researchers have employed a novel nanoscale fibrous system that can measure the tiny forces exerted by and upon individual cells with extreme precision. 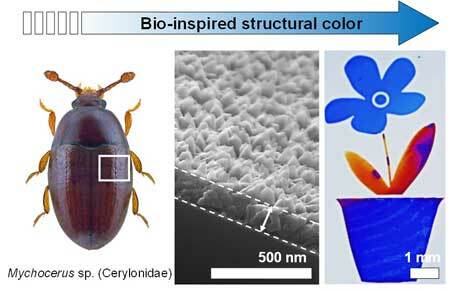 Scientists have successfully developed a new and cost-effective method for obtaining biomimetic structural colors with the ability to finely tune the completed structures. 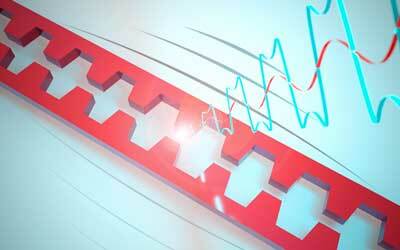 Researchers demonstrate record strong conversion of motion into light. Researchers have combined novel nanowires with a high-quality interface to other required materials on a chip. 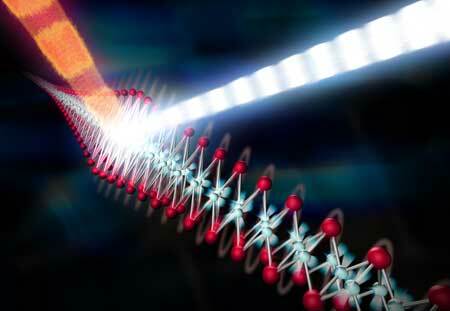 This allows for bullet-like collisionless quantum transport of charges through the nanowires: a requirement for larger-scale Majorana-based experiment. 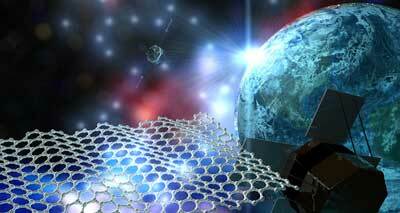 Two experiments, testing graphene in zero-gravity conditions, are being prepared by researchers to be launched in November. A new low-temperature solution printing technique allows fabrication of high-efficiency perovskite solar cells with large crystals intended to minimize current-robbing grain boundaries. 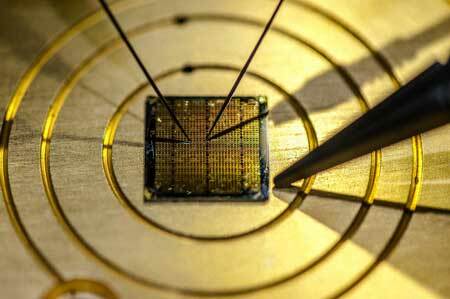 Researchers develop mass spectrometry for general use. 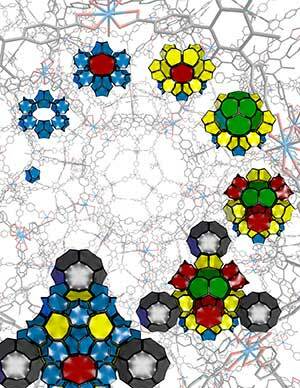 Scientists break the bottleneck of imaging complex building blocks for molecular sieves and catalysts. A novel manganese and sodium-ion-based material might become a contender for batteries, offering a potentially lower-cost, more ecofriendly option to fuel next-generation devices and electric cars. 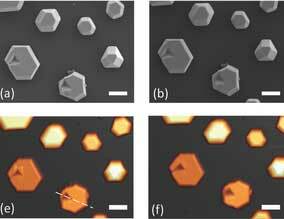 Scientists have created unique atomic-scale IDs based on the irregularities found in 2D materials like graphene. 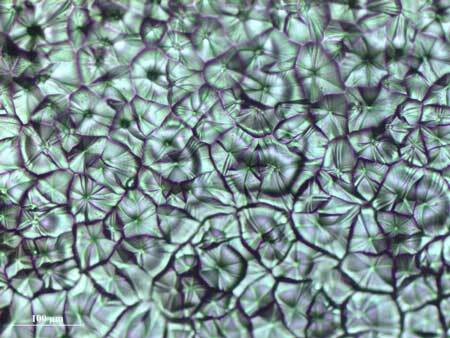 Researchers designed an innovative microfluidic mixer that monitors the fluorescence induced by hydrophobic aggregation. An international team of researchers has succeeded in extracting a fault tolerant manipulation of quanta from an effect of classical mechanics. 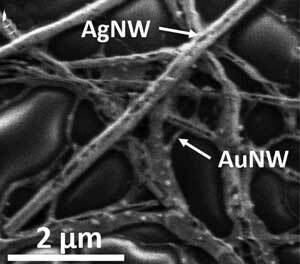 Researchers report on a transparent and stretchable strain sensor using percolating networks of 'soft' gold nanowires and 'rigid' silver nanowires which are fabricated through simple and solution-processable approach. Researchers propose a description for the microscopic mechanism of fragility transitions in glasses of compressible colloids, based on the regulation of osmotic equilibrium.